The 90’s was the era of the Big Budget videos. 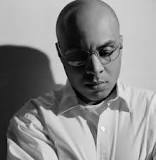 Hype Williams reigned supreme as the must have video director. A dope video could push a good single to great. Videos were a great marketing tool at that time because the industry had more Video hosted shows and didn’t have the ala carte nature of the internet/youtube getting in the way. Busta and Missy have a few things in common. They are both very animated. This bodes well for them in the video arena. This begs the question. Who had Has the Best Resume of Videos?